MLB Drug Test Policy are layed out in a simple new plan it does not require rocket science to understand Use Drugs, Get Caught Pay a Penalty. The penalty for using and shaming the game with illegal muscle enhancing drugs which will wreck ones body should be severe and unrelenting. Baseball players or any athlete prone to utilize banned substances to gain an advantage though the advantage sought is a fleeting wish and bringing on nothing but shame and a no no. Dr Pepper may have a doctor spokesman which has no drug test policy and be smooth but the users of banned drugs are a rough drag on our game of baseball. "Try It You Won't Like It !---- And You Will Pay---- Woe Be Unto Thee:"
"Using illegal substances for body enhancement is not baseball fitness cure all nor a baseball injuries abatement act. It is a short term high and a long term mind and body crippling action." The new policy was brought about by and with the threat of legislation from Congress. Under the policy tougher penalties for steroid use are implemented. Under the new policy the players are to be tested during their spring training along with at least one additional test during the regular season as well as being subject to random testing throughout the regular season. Under the previous policy testing was also conducted on a much less frequent basis. Testing was conducted at the beginning of spring training with no additional testing through the regular season other than random testing. Under this policy, it was quite possible for a player to only be tested once from the beginning of spring training throughout the regular season. The drug test policy stipulated that players who tested positive for a baseball steroid problem the year prior to the new policy taking affect would be treated as first time offenders under the new policy if they should test positive again. If youve been following the news lately, no doubt you've heard about the new MLB drug testing policy. While you may not have heard about the drug test policy you would not understand the specific implications of the policy and how it may affect your favorite players and teams. The drug test policy also takes a stab at possession of illegal steroid use in addition to use of illegal steroids. Players convicted for the possession of illegal steroids are subject to a 60-80 game suspension for the first offense and 120 games to one year for a second offense. A lifetime ban is on the table for a third offense. Players who are convicted of steroid distribution face tougher suspensions for the first offense and are subject to a lifetime ban after the first offense. Penalties for amphetamine use are slightly less severe than for steroid use. Got to have the amphetwmine pills how about life without salt is there any connection? Mandatory follow-up testing is dictated for the first offense with a 25 game suspension for the second offense. An 80 game suspension will be given for the third positive test and at the fourth offense the penalty is left up to the Commissioner, which could include a lifetime ban. Under the previous policy, penalties were much less severe. For example, for a first offense a player would be subject to a 10-day suspension and then 30 days for a second offense. A third offense would rate a 60 day suspension. The new policy calls for a 50 game suspension for the first offense and a 100 game suspension following an offense for the second offense. For a third offense it is equivalent to being called out on strikes the player will receive a lifetime ban. Additionally, after the first offense the player will be subjected to amphetamines testing as well as steroid testing. This is the first time the problem of amphetamine use will have been addressed by a policy with MLB. Under the old policy a player could not receive a lifetime ban until he had been hit with at least a fifth offense. Thanks to Bud Selig and Major League Baseball we now have a more extensive banned drug uses program with definitive testing and policy guidelines. 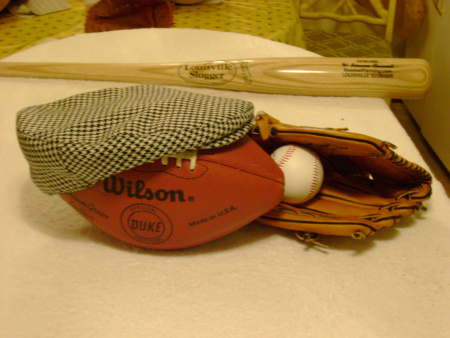 Our Sports fan world is still hanging tough enjoying our game of baseball.